Poised to be the largest combined Poker Run/Racing event in the country - the 2010 Bayfair Storm Poker Run set in scenic San Diego, Ca. is an event you DO NOT want to miss! September 16th through the 19th, 2010. The 2010 Bayfair Storm is an Offshore Power Boating Event being combined with the events of the 44th annual San Diego Bay-Fair Festival. This event is designed to bring Performance Boat Poker Run Teams from all over the country to enhance the festival by displaying and running these great boats! We want to provide the teams with a unique offshore boating experience by including them in the spectacle of the racing activities San Diego Bayfair is famous for! Planned for the participants is a drag race style shootout, an exciting experience of a spectacular fun run through San Diego Harbor and a 100 mile ocean going poker run to beautiful Oceanside CA. 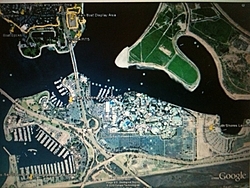 San Diego BayFair Festival brings a number of racing clubs to provide three days of action in the beautiful Mission Bay, which is an environment specially constructed for boating activities and events such as Bayfair, and the only time recreational vehicles, travel trailers and coaches are allowed to camp around the bay. 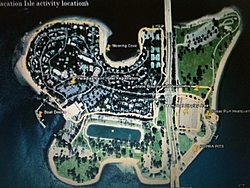 The host hotel for our poker run/shootout event is the Paradise Point Resort (www.paradisepoint.com), they have worked with us to providegreat room rates for our participants, but you must reserve your rooms before August first, when our room block expires. Room rates are $169.00 for standard rooms and $375.00 for bay side Casitas. The resort is right next to a beautiful sand beach cove where you can beach your boats, using a sand spike and in water anchor to secure against the 3 ft tide changes during the night. We have also rented space in the marina docks for a limited number of boats and we’re planning to bring in a few extra docks. While anchoring in the cove is free, we are having to charge for dock space. We have been working all year with the Bayfair committee to incorporate the poker run teams into the overall event starting with Thursday afternoon’s boat show event on Vacation Island. Held right next to the race pits for Pacific Offshore Powerboat Racing Association (POPRA), the poker run teams have a great spot to display their rigs for theentire weekend. The in/out privileges to launch and retrieve the boats will be slightly limited as the race boats have priority to the ramp and crane. Those not wanting to display their vehicles can park them in a designated area near the hotel on Thursday and launch them Friday morning at the South Cove Ramp. A private Poker Run Headquarters area is also located there right next to the boat show to meet and greet everyone and pickup your goody bag with your passes and coupons. Boat launching will be available at four locations - Vacation isle launch ramp at the race pits will be very busy with race boats and will at times be unavailable to the poker run teams. Next closest is Dana Landing Public Launch Ramp and is free, but with no wash down facilities. South Shore ramp is our designated ramp and parking facility for our trailers and is within a couple of minutes from Vacation Isle. Driscoll’s Mission Bay Boat Yard is available at a fee to launch your boat with their hoist to avoid putting your trailer in the salt water. 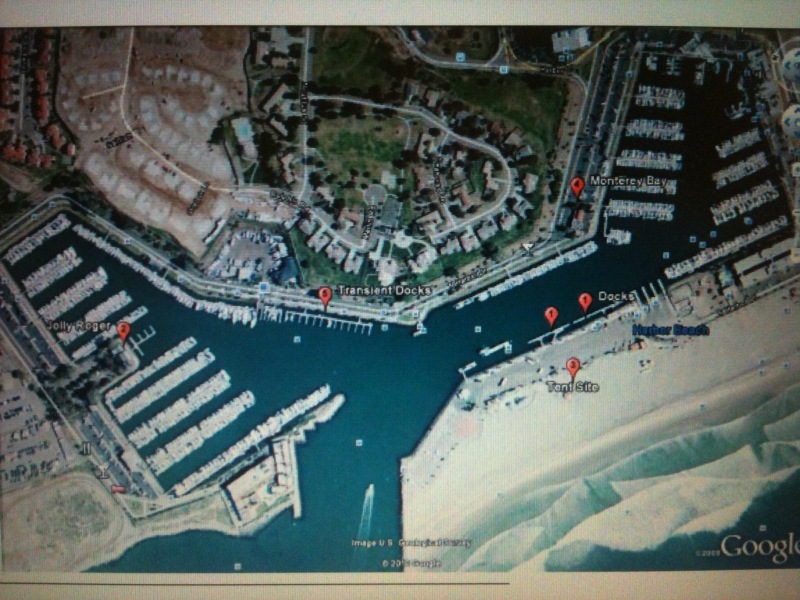 Friday morning is set for launching your boats and participating or watching the Bayfair Storm Shootout or Kilo runs. For those who want to do the shootout, please sign up in advance with your poker run registration or separately to help facilitate the schedule. After launching, please be sure and contact race control before entering or transiting the race course area. 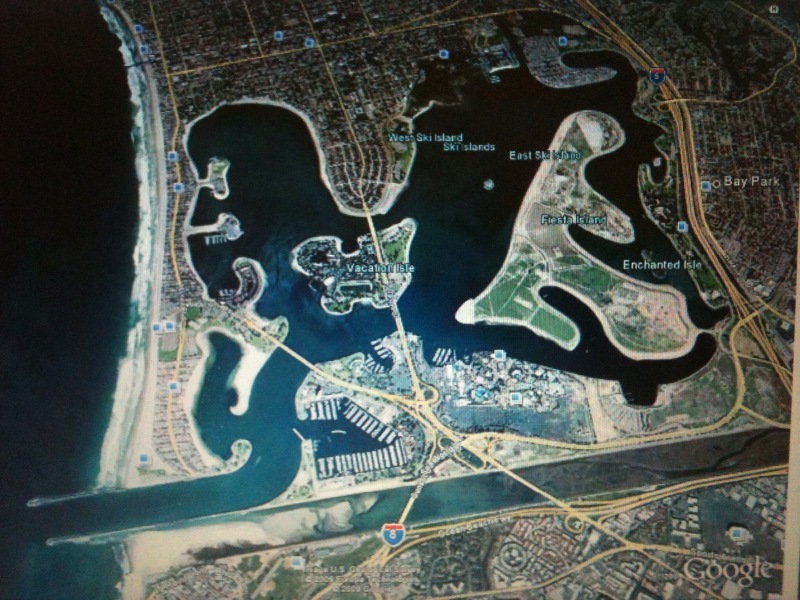 Friday afternoon, a fun run excursion is planned to San Diego Bay. 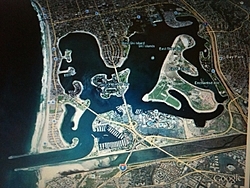 As a group, the boats will leave Mission Bay and tour passed San Diego Bay sights such as US Navy Submarine Pens, Midway Aircraft Carrier Museum and the ship yards on our way to the famed Coronado Yacht Club. There we will raft up at the docks for a fun afternoon of music and fun. Food and drink specials will be available. across the road is a beautiful beach setup for a great lunch and afternoon of fun. Planned to be on hand is some of our Service Men and Women from Camp Pendleton right next door! Please volunteer to take one or two out for a quick jaunt in your boat and have some lunch with them to thank each for their service! Don’t forget to pickup your third card whilewe’re here! How about some volley ball or horseshoe games to enjoy the beach? Heading back towards San Diego Bay, we’ll parade past some hot spots on our way back to the Coronado Yacht Club to pick up our Fourth Poker Card. 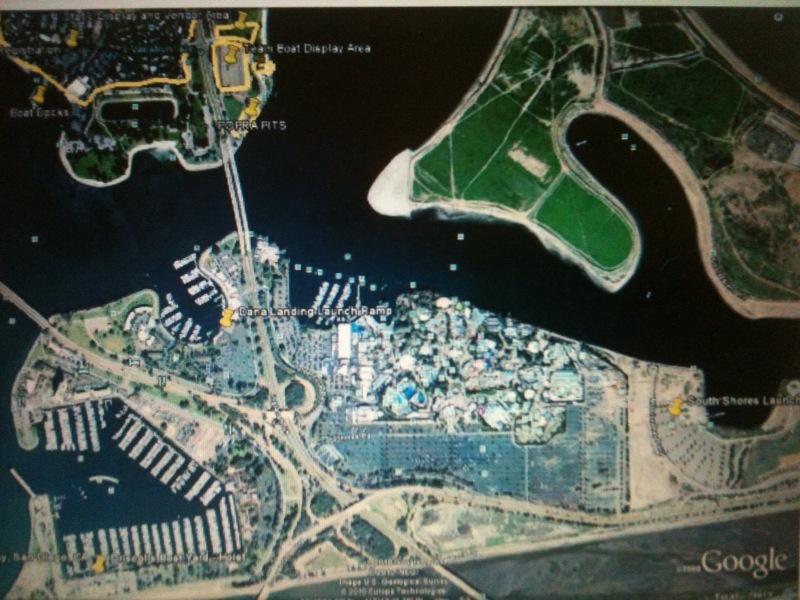 Then it’s back towards Mission Bay for our Fifth card and to park the boats for the evening. That evening we’ll all gather back at Poker Run Headquarters for card turn in, some music, fun and food, right on the water. With the sounds of the festival all around us and the fireworks punctuating the night sky, who could ask for a better boating day! Sunday morning wake up and enjoy a buffet breakfast before heading out to watch the final heats of the weekend races. Raft up your boats in our designated viewing area and enjoy the day before having to load up and prepare for the ride home. We hope you enjoy the event, please let us know if you have any suggestions! environment and beyond. Additional sponsorships opportunities are available for both the 44th Annual San Diego BayFair Festival and the LakeRacer BayFair Storm Poker Run. Please drop me an e-mail or phone call if you would like to sponsor some aspect of the event or have a booth or display in the vendor areas. With records of over 300,000 people who annually attend the BayFair Festival, you can’t help but be right in front of the customers you want to connect with! Last edited by thisistank; 06-14-2010 at 04:07 PM. I am so pumped for this event! If you need any help let me know. Thought you would be CJ. You moved into town at the right time. Now just get your boys from back home to tow out and it'll be on!!! 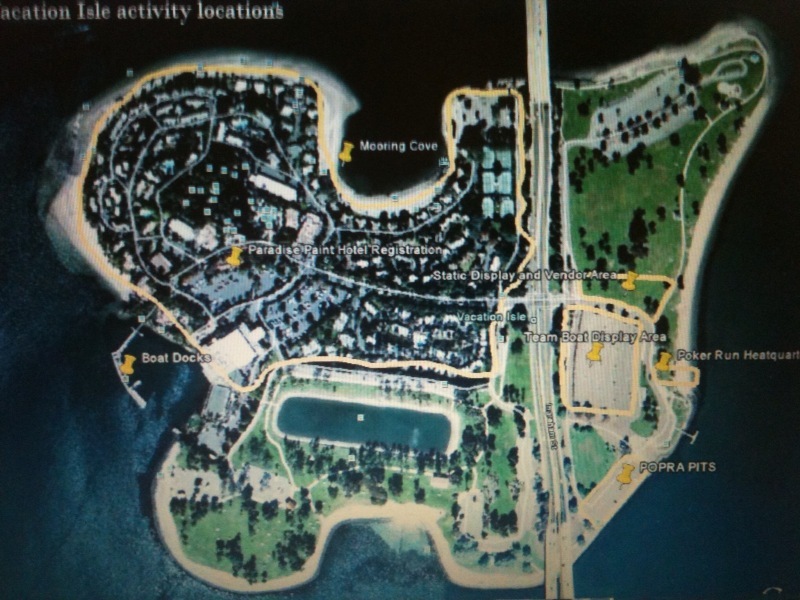 For those of you that don't know the area, these (crappy, sorry) pics give you an idea of the area. Sign up asap. This event is sure to be legendary! Did you sell the old Predator? And whens your OL coming back from TAOD?